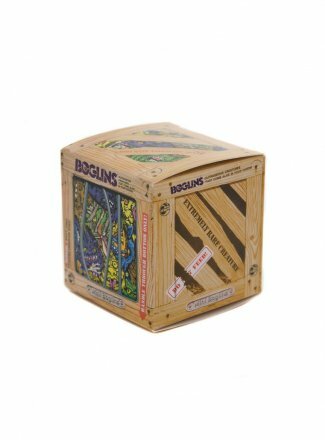 Collectibles / Vinyl / NYCC 2016 - Boglins are Back! 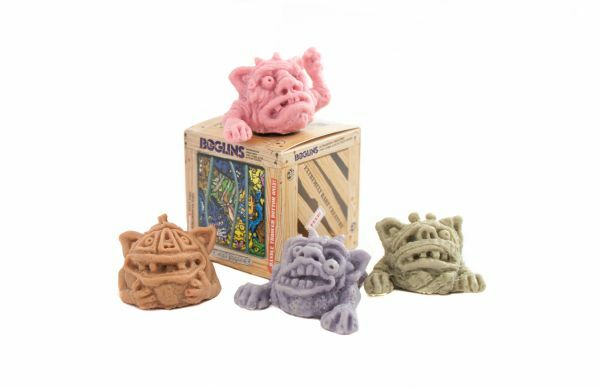 NYCC 2016 - Boglins are Back! The Boglins were one of my favorite toys back in the 80’s. Along with just looking weird as hell, the toys were also some of the best puppets you could get. You could move the mouth, but you could also move the eyes back and forth, along with making them wink. That feature was extra fun when you used them in the dark. Their eyes glowed and it was a great way to mess with your older sister. I would have figured that the classic monsters were lost to the ages, but now there’s reports that they’ll be coming back, at least in some form, at NYCC! The new blind box set is being produced by Clutter and was sculpted by Tim Clarke and Maureen Trotto. They are based on the original puppet toys, but will be smaller, 2″ x 2″ x 1.5″ minifigs. 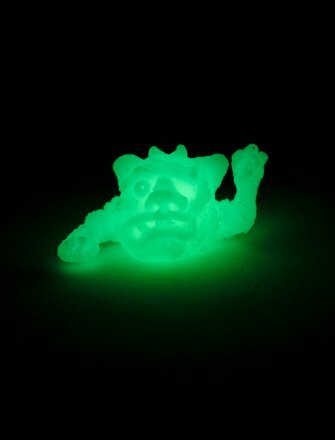 In tribute to their original glow in the dark eyes, these figures will be completely glow in the dark. The toys are extremely limited, just 400 pcs. At a cost of only $6 a piece, you can bet that they’ll go fast. If there are any left over at the end of NYCC, they’ll be put up for sale at shop.cluttermagazine.com.